Home News Samsung Galaxy A5 (2018) gets FCC approval, Launch imminent ? Samsung Galaxy A5 (2018) gets FCC approval, Launch imminent ? Looks like Samsung is soon going to revamp the full Galaxy A series with the new 2018 variants as we have seen recently that the new Galaxy A7 2018 received the FCC approval with model number SM-A730F and now the Galaxy A5 2018 has received the FCC approval with model number SM-A530N. The other 2018 variants of the Galaxy A series are also expected to get the FCC approval soon and we can expect that the new variants will be launched as soon as next month. The FCC approval for the Galaxy A5 2018 with model number SM-A530N also comes with usual tests related to LTE, 2G, 3g and other connectivity options but the FCC approval doesn't have any details on the major specifications of the device. The FCC approval documents for the Galaxy A5 2018 with model number SM-A530N confirms that it will have connectivity options such as WiFi IEEE 802.11 a / b / g / n / ac (2.4 GHz), Bluetooth, NFC and other options. The model number SM-A530N belongs to a Korean model and it is expected to be available with SK Telecom, KT, LG Uplus (LG U +) carriers in Korea. The device is going to be powered by a 2.2 GHz processor which might be the company's Exynos 7885 processor. The device has recently been spotted listed by Geekbench with 4GB of RAM and Exynos 7885, which hints that all the newer Galaxy A series variants will have upgraded specifications from its predecessors. According to the rumors, the Galaxy A5 2018 will feature a 5.5-inch Full HD+ display with 1080 x 2160 pixels resolution and will have a fingerprint scanner on the rear side near the the rear camera with LED flash. More details will be available soon. 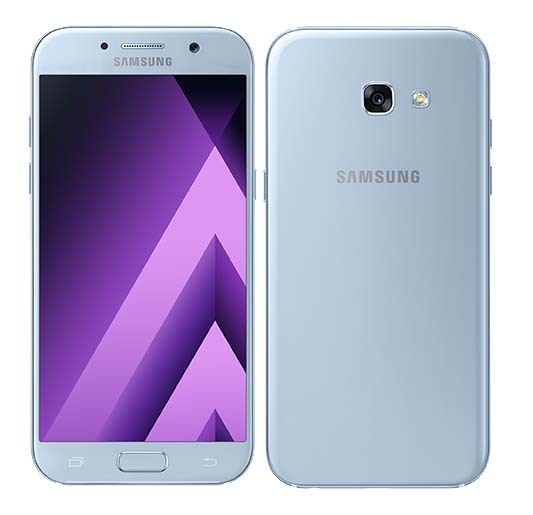 To recall, the Samsung Galaxy A5 2017 was launched with a 5.2-inch Full HD Super AMOLED display with 1920×1080 pixels resolution and is powered by a 1.87GHz octa-core Exynos 7880 processor that comes with Mali-T830 GPU. It has 3GB of RAM and has 32GB of internal storage capacity that also comes with support for expandable storage upto 256GB with microSD card slot. It also runs on the Android 6.0 (Marshmallow) and supports Dual-SIMs. It features the similar 16-megapixel rear camera with LED flash and a 16-megapixel front cameras. It comes powered by a smaller 3000mAh battery instead of 3600mAh one. It also comes with a fingerprint scanner on the physical home button and features a water resistant body. It measures 146.1 x 71.4 x 7.9mm and supports 4G VoLTE, Wi-Fi 802.11 a/b/g/n, Bluetooth v 4.2, NFC, USB Type-C connectivity options.